Longleat is hosting its first ever Military Spectacular (September 30th & October 1st) to celebrate our Armed Forces. 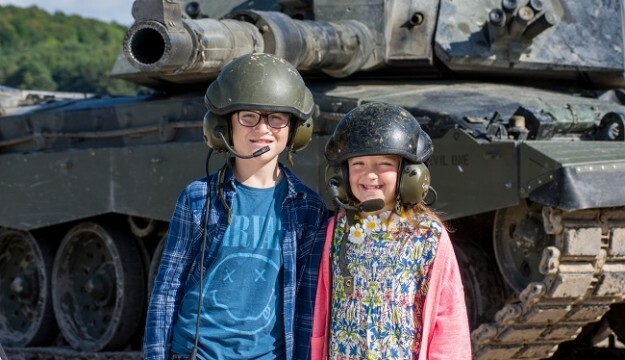 The event, which will feature tanks, helicopters and military vehicles alongside live demonstrations, a marching band and parachute displays, will mark the Wiltshire Estate’s ongoing partnership with the Armed Forces. Earlier this year General Sir Nick Carter, Chief of the General Staff of the British Army, visited Longleat to officially witness the signing of the Armed Forces Covenant by Viscount Weymouth. As part of this continued association with the Armed Forces, this new event will provide the perfect opportunity for visitors to see a variety of military vehicles on display within the Longleat Estate, including a Challenger 2 Main Battle Tank, a Gazelle Helicopter and many other armoured fighting vehicles such as a Bulldog, a Mastiff and a Warrior. In addition to the large display of military vehicles there will also be unarmed combat displays by The Royal Marines, talks and demonstrations from the farriers and saddlers of The King’s Troop Royal Horse Artillery. There will be more music from The Royal Household Cavalry and The Royal Artillery Bands and a team of army Cadets will be operating a climbing wall for visitors. 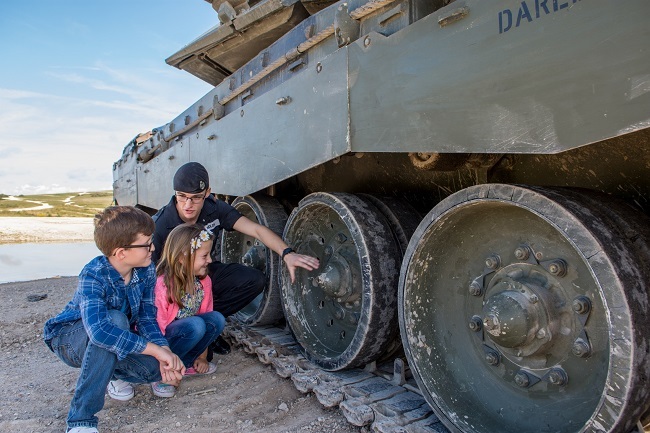 Experts from the Warminster Garrison will be demonstrating how the weapons used by The British Army have evolved; from fighting in the trenches to current weapon systems used in the military. “As Commander for the South West of England, I’m delighted to be partnering with Longleat on the Military Spectacular, which celebrates our Armed Forces,” said Colonel Andrew Dawes. “This is a new and exciting way for the Army to engage with all sections of our society. We very much look forward to meeting all visitors, demonstrating some of our military capability, answering their questions and of course providing an overview of the opportunities for employment within the Armed Forces,” he added. As an Armed Forces friendly organisation, Longleat is also committed to supporting the employment of veterans, service spouses and partners as well as supporting local Army Cadet Force units, reservists and offering a discounts on Day Tickets to members of the Armed Forces community. The Longleat Military Spectacular Sept 30th – Oct 1st at Longleat, Warminster, Wilts BA12 7NW. Admission to the event is free with a valid Day Ticket. Visit www.longleat.co.uk/whats-on for details.